It was a great opportunity to meet with people from all around the world to debate on the same issues, share ideas and challenges on issues like plastics, ecosystem management, and green business. With a delegation of 3 members from Benin, Germany and Switzerland, OceanCare as active member of NGOs and stakeholders Major Groups (MGs) was actively engaged in both official UNEA4 sessions and the MGs activities. Let’s agree with Ms. Martha Rojas Urrego, Secretary General of the Ramsar Convention on her statement that “we need to urgently step up the protection, sustainable use and restoration of wetlands as an essential element in policies and actions to respond to various environmental challenges and create the future we want”. Thus, the sessions of the UN Science-Policy-Business Forum on the Environment, the SDG Innovation Talks, the One Planet summit, the talks and side events, etc were a gathering of scientists, artists, ministers, parliamentarians, industry and business leaders, heads of UN entities and CSOs with one goal: leave no one behind. But we’re still far from reaching that goal as we are facing a lack of commitment from our states, mostly from developed countries. The draft resolutions and decisions adopted at the session of UNEA 3 called for accelerated action and strengthened partnerships to, inter alia: combat the spread of marine plastic litter and microplastics; eliminate exposure to lead paint and promote sound management of used lead-acid batteries; improve air quality globally; address water pollution; manage soil pollution; and control pollution in areas affected by terrorist operations and armed conflict; and the UNEA-3 President Gutiérrez-Espeleta (Costa Rica) concluded that “the results of this UNEA will provide us with concrete solutions to achieve our aspirations.” He expressed hope that they will also inspire concerted action on pollution. The resolutions are not-binding, so we have to ask ourselves what has been done then? How did we monitor it? How did we track the implementation of the actions? We acknowledged the effort of some developing countries to ban single use plastic, but most developing countries are not producers, but mainly consumers; which technologies and resources exist to guide them? What about the green finance instrument to support it? For example, we showed this gap during a panel of experts that talked about Fisheries challenges and impacts: Environmental and socio-economic aspects, organised by Environment Friends Society in Bahrain. It was an opportunity to share with the assembly our findings on the issue of aquatic wild meat related to declining fisheries resources and threat on food security in West Africa. We mostly debated about how illegal, unreported and unregulated fishing by industrial trawlers has massively contributed to the depletion of fish stocks in the region and how this are impacting the livelihoods and the identity of local coastal communities. So it is definitely time for action! We stressed the need for a systemic change with more implication from NGOs and from the South – if not, in February 2021 when the next UNEA5 will convene, it may be too late! 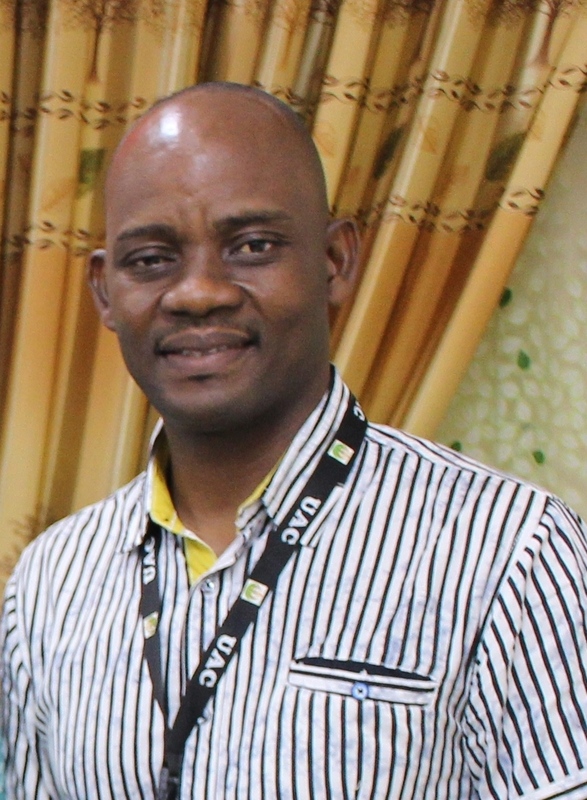 Maximin Djondo is Executive Director of Benin Environment and Education Society (BEES NGO) and consultant to OceanCare. He attends the fourth meeting of the United Nations Environment Assembly in Nairobi, Kenya, 11th – 15th March 2019.